I'm so excited that my roommate finally got into med school. He's worked really hard for it and one of my good friends will be taking his room. When the new potential roomie and I were talking, I pointed out that it would be weird to live with a straight person. He laughed and asked when the last time I lived with a straight person was. I mean, it just hasn't happened. Ever. Between my real family and chosen family, it just hasn't happened. There's something special and life-affirming about that shared experience -- knowing that, to one degree or another, we all fought for our lives to understand, accept, and be proud of an extremely vital part of ourselves. That doesn't mean my friendship with my new roomie will be "less than" -- we just won't be able to share that particular bond. 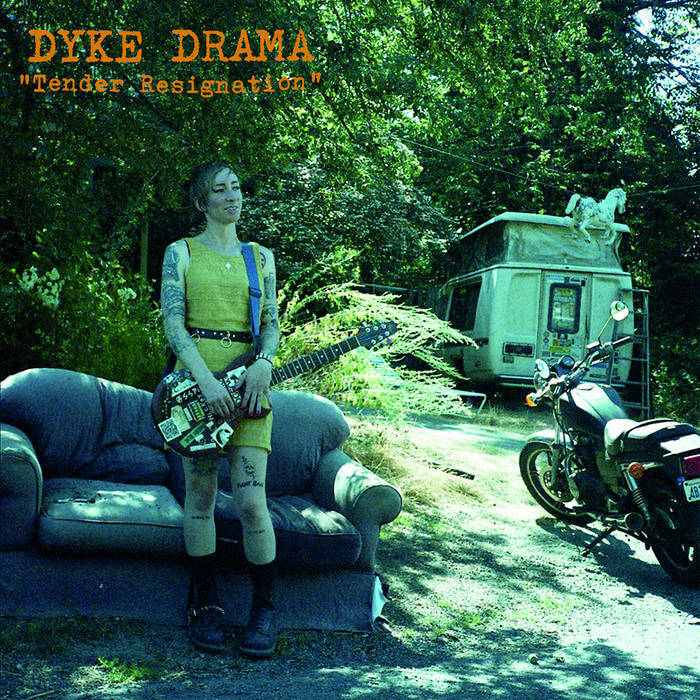 So Dyke Drama, the solo project of prominent queer punk rocker Sadie Switchblade, gives me special warm fuzzies. Like any great punk album, it is at once a harsh critique of dominant culture, vulnerable, strident, and victorious. These are, of course, universal human emotions. You don't need to be a stripe on the rainbow to enjoy Dyke Drama. In fact, I've found the majority of my favorite queer punk acts through Ninebullets' Mike Ostrov, who has some of the best taste out there. But for anyone who is queerer than a pride parade, Tender Resignation is an especially potent reminder that self-doubt happens, and self-love conquers all.